Adaptive Action Sports will host two intermediate/ expert level race training sessions at Copper Mountain from October 30th to November 1st and November 7th to the 10th. 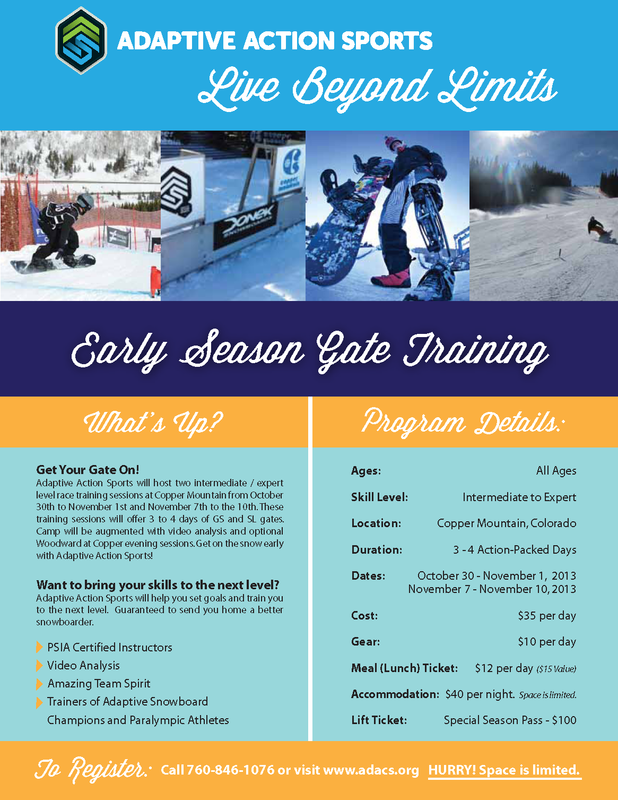 These training sessions will offer 3 to 4 days of GS and SL gates. Camp will be augmented with video analysis and optional Woodward at Copper evening sessions. Get on the snow early with Adaptive Action Sports! Accommodation: $40 per night. Space is limited.